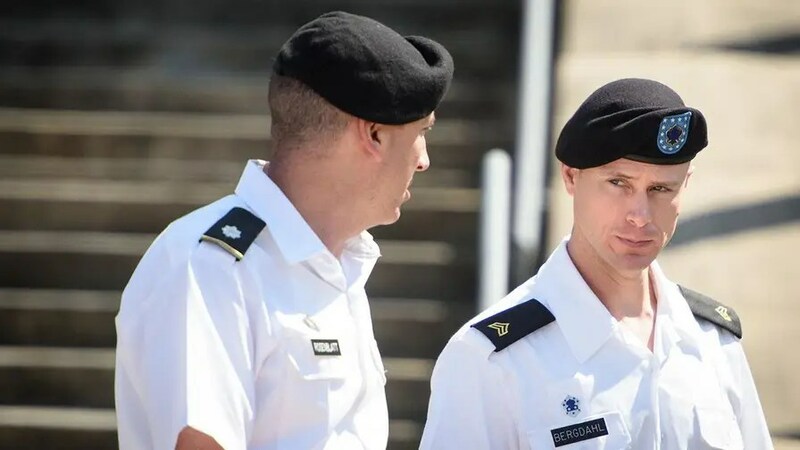 As the fate of Bowe Bergdahl rests in the hands of a judge this week, a military court is expected to hear dramatic testimony Monday from the soldiers and a Navy SEAL who were badly hurt in the search for the Army sergeant after he deserted his post. The judge, Army Col. Jeffery R. Nance, will hear at a sentencing hearing at Fort Bragg from one soldier involved in the search for Bergdahl who must now use a wheelchair, unable to speak because of a head wound. Another is still unable to use his right hand. A third searcher sustained a leg wound from enemy fire that ended his career as a Navy SEAL. Bergdahl, who was held for five years by Taliban allies, could face life in prison on charges of desertion and misbehavior before the enemy after he pleaded guilty to the charges last week. Here are the stories of the wounded searchers who are part of the case against Bergdahl. Navy SEAL James Hatch’s leg wound from enemy fire while searching for Army Sgt. Bowe Bergdahl ended his career as a Navy SEAL. 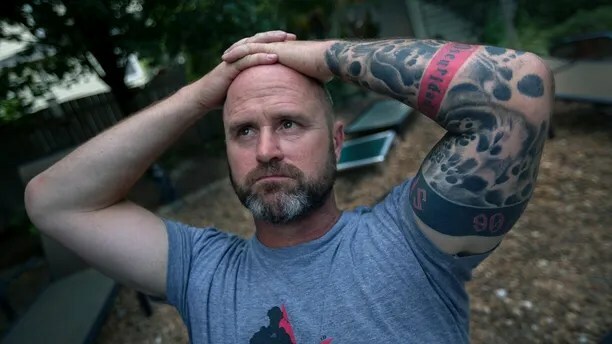 Retired Senior Chief Petty Officer James Hatch is expected to testify about a leg wound he sustained on a search mission that ended his career as a Navy SEAL. “Senior Chief Hatch has always said he wants him to have a fair trial and a fair sentence, with the understanding of all the suffering that he caused by trying to support his own agenda,” Buddy Rake, Hatch’s lawyer, told the Associated Press. Hatch has said his team had 90 minutes to plan a separate search mission under poor conditions, but felt the mission was crucial. “I did not want Sgt. Bergdahl’s mother to see her son executed on YouTube,” Hatch said in a statement. James Hatch said he only had 90 minutes to plan a search and rescue mission for Bergdahl. The team’s helicopters came under fire as they were landing to search near the Pakistan border. Hatch testified his leg was hit by AK-47 fire, and a military dog that helped locate enemy fighters was killed. Hatch now runs a nonprofit providing care and support for military and law enforcement dogs. He credits survival to team members who quickly applied a tourniquet. “They saved me from bleeding to death,” said Hatch, who entered the pretrial hearing limping. Rake, himself a Navy veteran, declined to say what level of punishment Hatch thinks is appropriate, but said he believes Bergdahl should, at a minimum, be deprived of an honorable discharge. “As you go through life you get all sorts of trophies and awards, but the most important that I’ve ever received is the one that says ‘honorable discharge,'” he said. Army National Guard Master Sgt. Mark Allen had already served in Iraq and could have begged off another deployment, a family friend told the AP. “He told me that he was coming back to a frontline unit because they were going to be deployed and he didn’t want his guys to go alone,” Robert Stokely said. Allen was shot in the head in July 2009 while searching for Bergdahl in Afghanistan. The traumatic brain injury dramatically changed life for Allen, his wife and two children. Once an avid outdoorsman, Allen now depends on a wheelchair and can’t speak. Allen’s wife, Shannon, declined to be interviewed, but the toll was evident as she sat crying in the courtroom the day Bergdahl pleaded guilty. Before being wounded, Allen gave words of support to Stokely after his son — National Guard Sgt. Michael Stokely — died in Iraq in 2005. “If you want to look at the best America has to offer, look at the Allen family,” Robert Stokely said. Jonathan Morita lost the use of two fingers on his right hand after he was wounded searching for Bergdahl. When he was recalled to be deployed in Afghanistan, Jonathan Morita, of California, who served as an Army corporal, was a reservist and Iraq veteran taking college classes. “I was at home enjoying life as a civilian — going to school, working at a job,” he told the AP in a phone interview earlier this year. During the search mission for Bergdahl that left Allen wounded, a rocket-propelled grenade shattered Morita’s hand. While, the projectile didn’t explode, he needed multiple surgeries that left him unable to bend the thumb or index finger on his right hand. As he’s trying to learn again how to brush his teeth and write, Morita still feels anger towards Bergdahl. “Every time I hit my finger on something, there’s only one image that pops in my head, and it’s him,” he said. In a second interview with the AP, Morita said he was struck by Bergdahl’s comment in court that he didn’t think such a large search would be mounted for him.